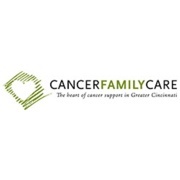 Since opening our doors in 1971, Cancer Family provides “strength for the fight” in Greater Cincinnati and Northern Kentucky. Our mission is to strengthen the well-being and alleviate the suffering of any child, adult, or family coping with cancer. We carry out this mission by offering programs and services that focus on the mental health and psychological, emotional, and social welfare of cancer patients and families. We provide therapeutic counseling, along with free supplemental services, such as free wigs, oncology massage & Healing Touch therapy, which are aimed at improving clients’ quality of life. We are proud to offer guidance, comfort, and hope to more than 3,500 community members of all ages and backgrounds every year. We are proud and grateful to be a beneficiary of the Cincinnati International Wine Festival. One-hundred percent of the funding support we receive from the Wine Festival goes to underwrite our personalized counseling services. Dereck waited for six months after Shannon passed away before meeting with Juliane. After working full-time for Humana, he took a part-time job so he could be both mom and dad for his family. 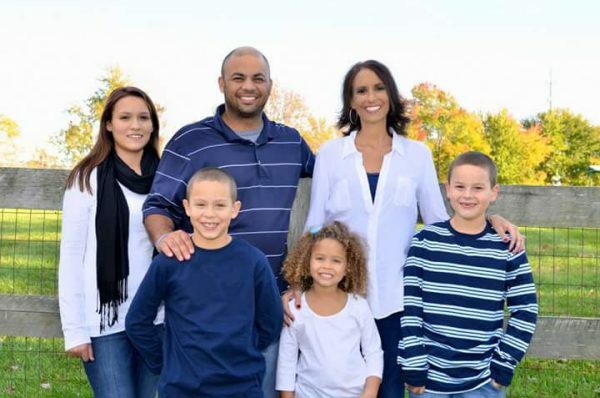 Shannon and Dereck had three young children ages 4, 7 and 8, and each had a daughter from a previous marriage. “You realize you’re all these kids have, you’re the emotional leader of the family and that you have to be as strong as you possibly can,” he said. Even working part-time, commuting to Florence from the family’s home in Hebron would have been logistically difficult for Dereck, but he worked with Juliane to come up with a flexible schedule. Juliane’s impact on the family continued after they concluded counseling sessions. The children continue to attend Camp Courage and this is where Dereck says he and his family feel a continuity with Juliane. The kids are doing well, with both boys actively involved in sports. Dereck’s parents live nearby, as do Shannon’s sister and her husband, and Dereck’s daughter. They were part of the care-giving circle during Shannon’s illness and continue to help, especially with the children. For Dereck, it was equally important to have CFC resources.